Thanks to her military career, Virgin Island native Tanya Bartlett has lived in cities across the country. But with retirement on the horizon, she knew it was time to choose a home base. 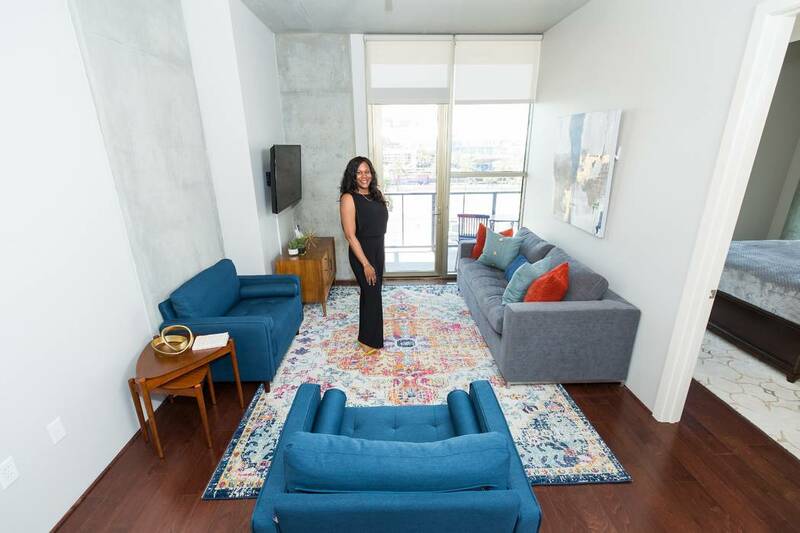 When a friend bought a home at Juhl in downtown Las Vegas last year, Bartlett followed suit and, happily, found her dream home. Through the help of Veterans Affairs financing offered by Juhl, for which she easily qualified given her military affiliation, Bartlett closed on her home in June and has enjoyed everything about her new home and lifestyle. She shared her appreciation for the community’s resort-style pool and Greens and Proteins restaurant on Juhl’s ground-floor retail Promenade. “The homebuying process was easier and less intimidating than I anticipated, thanks to Juhl’s financing partner, The Federal Savings Bank, which walked me through every step of the way,” she said. “And I’ve already met some of my neighbors, who have been so friendly and welcoming.